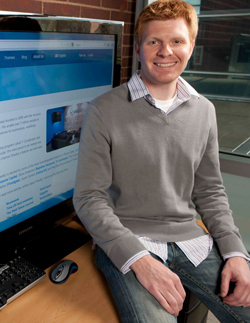 Chris Fanini is the chief technical officer and co-founder of Weebly, a tech start-up based out of San Francisco. Weebly is an extremely simple and powerful way for anyone to create a website, blog or online store. More than 15 million people have created a website with Weebly, and 12 percent of the U.S. population visits a Weebly website every month. Fanini grew up in Bucks County, Pennsylvania and attended Pennsbury High School. While in high school he started a web hosting company, followed by one of the area’s first wireless ISP's, which provided high-speed internet and voice services to small businesses who couldn't get access to Cable or DSL. Fanini went on to study IST at Penn State, then moved to San Francisco with his co-founders to start Weebly. Fanini has a passion for technology, infrastructure, and the web. He is an avid snowboarder, angel and real estate investor, and 20 hours away from obtaining his private pilot’s license. Weebly was named one of Time’s 50 best websites of 2007 and has been featured in Newsweek, The Wall Street Journal, Inc., and Entrepreneur magazines, as well as on NBC and the BBC. Fanini is a 2012 graduate of the College of Information Sciences and Technology at Penn State. Fanini will present on Thursday, March 21 from 2:30 p.m. - 3:45 p.m. in room 113 IST Building.